Within AAACF’s Community Scholarship Program, The Level the Playing Field Fund is a significant fund focused on students with financial need graduating from the Washtenaw County public school system. This fund was launched with a $1M gift from an anonymous donor, including a $250K dollar-for-dollar match so that the program would truly be by the community and for the community. Omer Bellfi and Karla Olson-Bellfi are devoted to the Washtenaw County area and have provided service to the community for many years as respected financial advisors. They both value the opportunities they received for education and know the important role it played in their lives. As financial advisors, they also keenly understand the need to remove financial barriers for others in accessing higher education and are disturbed by the increasing debt burden young people undertake to pursue a college degree. Given their value for educational opportunity, their commitment to their local community, and their desire to help others overcome financial barriers and burdens in pursuit of their goals, the Bellfi’s have established this scholarship fund. The Joseph & Yvonne Dulin Scholarship Fund was first established by Yvonne in 2009 to commemorate Joe’s retirement after 35 years as the founding principal of Ann Arbor’s Roberto Clemente High School. For more than 50 years, the couple tirelessly devoted themselves to community service, civil rights activism and social justice, and effectively advocated for educational equity and empowerment. In addition to their formal roles in education and human services, Joe & Yvonne sought to actively engage others. They developed National African American Parent Involvement Day (NAAPID) in 1995 to get parents more involved in their children's education. They created NAAPID at Night in 2004 at the request of numerous parents who did not have the flexibility to leave work and visit their children in school, yet they wanted to show support for their children. Yvonne continues to carry on Joe’s lasting legacy as well as her own passionate dedication to uplifting others. She converted the scholarship fund in 2018 to the Community Scholarship Program because it operates under the original vision she had for their scholarship, with dedicated coaching and multi-year funding. Virginia Ann Forshee lived a full life of 94 years. She was passionately devoted to her family, to her faith, and to animals. Her work ethic was unparalleled throughout her entire life. After her father died when she was only 10, Virginia assumed even more responsibility working on the dairy farm in Ann Arbor where she was born. She would be active in farming her entire life, becoming one of the largest pork producers in Southeastern Michigan, even as she worked outside the farm—from the Ypsilanti bomber plant during the war to various banking positions. She also served as Treasurer of Ann Arbor Township, where she lived her entire life, for 49 years! Throughout her life Virginia enjoyed classic cars and membership in the First Congregational Church of Ann Arbor. At age 74, Virginia completed her first marathon, a charity fundraiser held overseas, and went on to run three more full marathons and several half-marathons across the country after that—continuing to challenge her body and mind even during her senior years. Despite her full life, Virginia always wished she had been able to attend college, and she wanted to make it possible for young women like her with financial need to go—not just for the education but also, as she believed, for the experiences and friendships to be formed there. This self-proclaimed farm-girl, through hard work and wise investing, left a lasting legacy through The Virginia A. Forshee Scholarship Fund for Women of Washtenaw County. The Gillenwater Legacy Fund supports scholarships for students from Ypsilanti Community Schools. Mary Williams Gillenwater had a strong work ethic and helped to provide for her family. In her estate, she also generously provided for others to achieve what she did not have the opportunity to pursue—a college education. Mrs. Gillenwater had powerful role models who influenced her, and she understood the connections between education, encouragement of others, and building a strong community. Under the thoughtful management of Bank of Ann Arbor, the assets of the Gillenwater Trust will be available for the scholarships in perpetuity. To honor Mrs. Gillenwater’s lasting legacy, donors can make tax-deductible contributions to a complementary fund in her name through the Ypsilanti Area Community Fund. Reba and Charlie Jackson had a love story for the ages. The two Alabama natives did not meet until they both resided in Ypsilanti, MI, and Charlie determined upon seeing a local newspaper feature on Reba that she was his future wife. Their 61-year union produced two children, Judy and Patrick, who are creating this scholarship fund in their loving memory. A scholarship is an appropriate memorial to their parents, who both held advanced degrees and committed themselves to education and community service in numerous ways in both Ypsilanti and their residence for several years in Decatur, IL. Washtenaw County was truly home, and their lasting impact here is too deep to list: from Reba teaching in three Ypsilanti elementary schools to Charlie serving on the Ypsilanti City Council. From their work in education and social work to their deep church service and many community activities, uplifting and empowering others was an underlying theme and they would applaud the efforts of the Community Scholarship Program in raising expectations and increasing college graduation rates for local youth of color, in particular. Their children hope this scholarship inspires other residents to support the scholarship program as well. Additional information on Reba and Charlie Jackson is available at charlieandreba.org. Norman and Barbara Koch knew the beauty of life's simple pleasures. Because they worked hard, saved well, and lived contentedly, they were able to provide generously for their lifelong community of Washtenaw County through their estate. Given Barbara's lifetime devotion to education, it is not surprising that generosity included establishing the scholarship fund. Norman grew up in Chelsea on a family farm and served in the Korean War. After returning home, he worked hard during the day at both St. Joe's and then the IRS while pursuing a degree at night from Cleary. That degree led to a fulfilling career in accounting at Ford Headquarters until his retirement. Barbara grew up in Ann Arbor and graduated from Eastern Michigan University. She took great pride in her career as a teacher for 30+ years, with service in each of the Ann Arbor elementary schools. This scholarship carries on their legacy and supports the educational success of local residents. Individually and collectively, John Martin and Molly Resnik have made lasting, tangible impacts on Washtenaw County and beyond through their professional roles and their personal contributions of time, resources, expertise, and advocacy. Both served as staff leaders of impactful local nonprofits, as well as volunteer leaders through board service for numerous other effective organizations. The common themes of social justice, empowerment of the disadvantaged, and promotion of equity and equality characterize the motivations and intentions behind their commitments. This same desire to uplift and to inspire is the reason the couple has established the John Martin & Molly Resnik Scholarship Fund. Headquartered in Ann Arbor, Michigan, Masco Cabinetry manufactures and sells cabinetry for kitchen, bath, storage, home office and home entertainment applications, with a selection of stylish, high-quality products at a variety of price levels. Its nationally-recognized cabinetry brands are favored by consumers, home centers, dealers, distributors and builders throughout North America and include KraftMaid®, Merillat®, QualityCabinets™ and Cardell®. These brands have been awarded the Environmental Stewardship Program certification by the Kitchen Cabinet Manufacturers Association for their commitment to environmental stewardship. Masco Cabinetry isn’t just passionate about cabinetry, it’s passionate about enriching the communities in which its employees live, work and do business. It knows that a workplace that encourages different voices, perspectives and backgrounds creates better teams, better solutions, more innovations and a stronger business and community. Masco Cabinetry is proud to participate in the Masco Million Differences campaign by partnering with local organizations striving to create a more equitable workforce through education. The Masco Cabinetry Scholarship Fund is being established to support efforts to break down barriers and biases and create opportunities for students to pursue higher education. Masco Cabinetry is a subsidiary of Masco Corporation (NYSE: MAS), of Livonia, Michigan., a global leader in the design, manufacture and distribution of branded home improvement and building products. Don and Paula Moffat both valued family, friends, and community. They thoughtfully cared for others, through their actions during life and through planning beyond their lifetimes. Aside from their love for each other, they shared a joint pride for the power of scholarships. Particularly poignant was their commitment to the Beth Moffat Memorial Scholarship for many years. Don turned the tragedy of losing his daughter into creating a lasting legacy of helping students to go to college—an endowed scholarship program that continues to bring family, friends, and community together. In honor of their lasting legacies of love and their commitment to helping empower others through college scholarships, Don’s son and Paula’s step-son, Douglas A. Moffat, has established this scholarship in their lasting memory. Established in 2005, the NAACP Community Leadership Scholarship Fund focused on providing scholarships to promising African-American high school graduating seniors seeking college or technical training in the Ann Arbor and the Ypsilanti/Willow Run branches of the NAACP. In particular, the scholarship focused on students who displayed strong community involvement and leadership potential. In 2017, the NAACP Community Leadership Scholarship Fund converted to a fund under AAACF's Community Scholarship Program to further enhance the impact. Donald and Elaine Olson valued higher education and understood firsthand the financial struggle involved in obtaining a college degree. Donald, having served in WWII, was able to earn his degree through the benefit of the GI Bill, but Elaine needed to work full-time while attending college to support her living and educational expenses. Donald began his professional life as a teacher, and he and Elaine passed on the value of a college education to all their daughters. Their daughter Karla Olson-Bellfi and her husband Omer Bellfi established this fund to honor her parents and to provide encouragement to students with financial need in Washtenaw County to pursue their dreams of higher education. First established in 1997 by Art and Lyn Powrie Davidge in honor of Emerson Powrie, whose career in the Ann Arbor Public Schools spanned 30 years, the scholarship was originally for a Pioneer High School student. In December 2016, the Davidges converted their scholarship to a fund under the Community Scholarship Program to ensure its careful selection in perpetuity and to enhance the impact of the fund. Lyn also honored her mother Gwendolyn by including her name on the fund. Earl and Marie were both educators devoted to helping youth achieve their full potential. Marie, a former guidance counselor at Willow Run High School, established the fund because the mission of the Community Scholarship Fund resonated with her, and the named scholarship also provides a fitting tribute to the lasting legacy of her late husband, Earl, who was a director of career and technical programs for the Ann Arbor public school system. Both Earl and Marie, who met during graduate study at the University of Michigan, obtained advanced degrees. That Earl eventually received a doctorate is particularly impressive, for he was the first in his family to graduate high school. 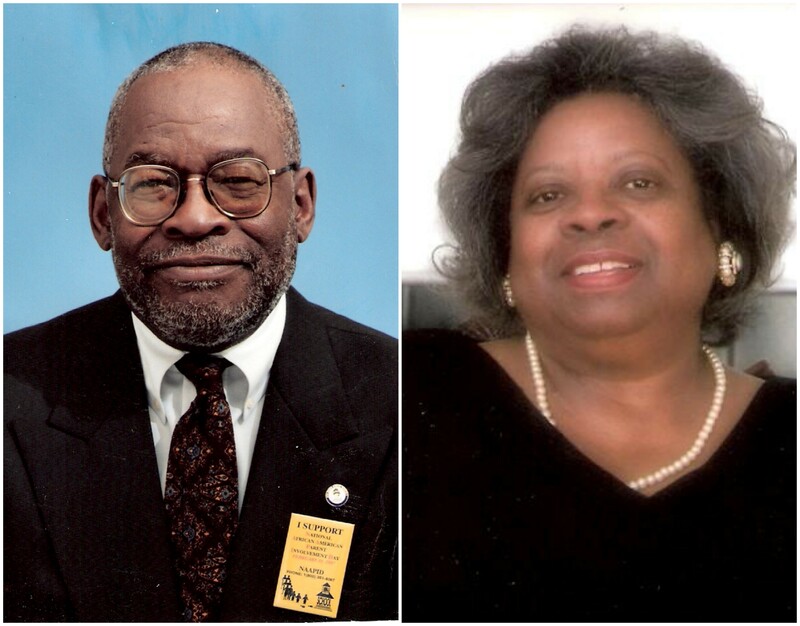 The Shaffers lived out their commitment to educational attainment and successful career preparation and were role models to many, including their own two children, during their more than 30 years each of public school service. Qi-Xuan “Justin” Tang made an indelible impression on his peers and teachers at Community High School in Ann Arbor, Michigan. A member of the Community Ensemble Theatre, everyone loved Justin because of his unrivaled enthusiasm and fearlessness. As an actor on stage, he was capable of huge, over-the-top acting choices. He was an ambitious student, enrolling in multiple advanced classes while also taking time to write funny poems about fast food. He was a dreamer and a doer, striving to fully realize whatever goals he sought-whether starting a Quidditch team or getting into a great college. It seemed like he did everything with a sense of joy and possibility. He guzzled two-liters of soda, told irreverent jokes, and talked with friends about changing the world. He didn’t put on masks to give people what they wanted. He was who he was. He wasn’t afraid to show the truth. Those who knew Justin will always remember his fearlessness, ambition, kindness, and joy. Friends of Justin and their families, in particular those of the Community Ensemble Theater, ensured that Justin’s qualities live on by creating this scholarship in his memory with the ambitious, hopeful, quixotic goal of ending fear. They hope that recipients of this scholarship pursue their goals with fearlessness and joy. Doris and her late husband Kent, a physicist, were both committed to the sciences and personally exemplified and believed in the power of education. Especially because our country needs to train more scientists, Doris believes financial barriers should not stand in the way of higher education pursuits and thus supports scholarships to incentivize students to achieve. Marianne Udow-Phillips and William (“Bill”) W. Phillips consider themselves privileged to have been raised in families where education was a priority. Their educational achievements in turn led to successful careers: Marianne as a nationally recognized leader in health care research, policy and practice, and Bill in engineering and technology. The fact that they met in a book club reading The Giver is symbolic not only of their love of learning but also for how they have chosen to assist others. Through gifts of their time and expertise as nonprofit board members as well as their resources, Marianne and Bill invest in programs that provide people with the tools and opportunities to succeed and to become self-sufficient. The Udow-Phillips Scholarship Fund is an example of their joint commitment to their local community and empowering young people through education. Chris and Deborah are lifelong members of the community and greatly appreciated the fine education they received in the Ann Arbor public-school system and the University of Michigan. Each had an immigrant parent who came to this country for opportunities without formal education. Their parents encouraged them to work hard and to value the pursuit of higher education. Chris and Deb had many mentors along the way, who believed in them and provided scholarships when times were hard. They are deeply appreciative of the success they have enjoyed in leadership positions in engineering science and health care. Chris and Deb believe all youth deserve the same access to an education to achieve their potential. An education is fundamental to equality in our society and the VandenBroek family sees this scholarship opportunity as a way to remove financial and other barriers through ongoing support to help students exceed. Roy and Carol Weber exemplified commitment to the local community. When Roy passed away in 1997, Carol and her sons Doug and Mike continued to honor and carry on the family’s philanthropy. Education has always been an important priority for giving and, in the true spirit of fostering community, the family wants to inspire supporters so that the community scholarship initiative is truly representative of the entire community. This matching fund is being established to encourage and inspire new donors, particularly new donors of color. Given their longtime support and generosity, it is fitting that Roy and Carol Weber will have a permanent named scholarship fund established at AAACF in recognition of their support for promoting educational access and opportunity for Washtenaw County students. A proud long-time resident of the Old West Side, Dr. Sarah Winans Newman has led an active life and career on the university campus, retiring as a distinguished faculty member at the University of Michigan, as well as across her adopted community of Ann Arbor. She has been active with many local nonprofits and through gifts of her time, talents and resources has furthered several causes, including many close to her heart such as education, the environment, and women’s issues. Because of her commitment to numerous nonprofits and her understanding of evolving issues, she believes in the power of a community foundation and its grant making programs as a vibrant tool for addressing community needs. She established the Sarah Winans Newman Fund as an example of her commitment to addressing local needs and opportunities.